In visiting China this past Spring, I was surprised to meet so many Americans whose job it was to teach English. I was interested to learn that these opportunities were in every industrial sector, not just in schools. I stayed at an AirBnB in Shanghai, whose proprietor worked with business and government officials. These officials would review the news from the United States and his job would be to explain it to them in the context of their culture. It felt like every American I ran in to was teaching English abroad and they loved it! They enjoyed the professional teaching atmosphere, the seriousness of their students, and felt they were compensated quite well. From corporations to pre-schools, schools and colleges, everybody reported the same thing. 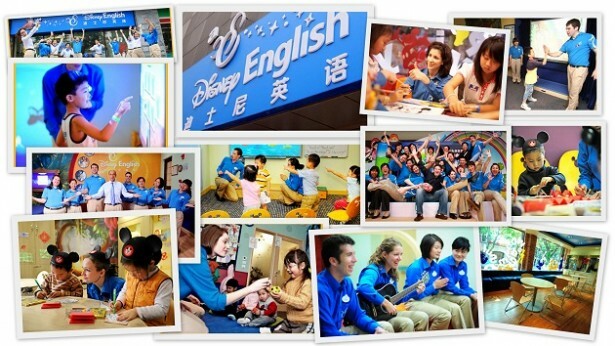 In fourteen cities across China there are Disney English Schools. I hadn’t heard of them before but watch this video and be amazed at the combination of teaching English in a foreign country and immersive technologies! With the culmination of over 70 years of published language learning materials, Disney has perfected an approach designed to appeal to a range of different learning styles. Teaching English in China using the Disney English Immersive Storytelling Approach (ISA) incorporates role plays, songs, movement, games and storytelling with the latest educational technology to fully engage students in a memorable and effective learning experience. Aimed at students aged 2 to 12 years old, The Disney English Immersive Storytelling Approach is an enlightened teaching approach that blends Multiple Intelligences Theory and Experiential Learning with a strong emphasis on communication. Making use of imaginative situations which appeal to young learners, this unique learning environment engages and challenges young learners to not just learn a new language but to discover the fun that can be had doing so. Disney English in China have put together an exceptional collection of unique course material which feature Disney characters throughout and place an emphasis on natural English communication. They are backed up with an amazing array of supplementary materials to really bring the class to life, from flashcards, an entire room full of realia, song CDs, games, digital material, toys and comprehensive teachers’ guides. All this makes teaching English in China a really enjoyable experience and allows you to create truly engaging and effective lessons. Each classroom is fitted with an interactive white board & digital presentation wall which are packed full of animated teaching material, helping to further enrich the student-centered learning environment. Class sizes are small, no more than 15 per class, to ensure all students receive the personal guidance and attention they need to get the most from their learning experience. CELTA – Certificate in English Language Teaching to Adults – a high level TEFL certificate. TEFL certification is designed for countries where English is not considered the primary language. TEFL can bridge the gap between an individual who is looking to learn English for the purposes of moving on to an English international university, and so is particularly versatile as it can be employed in many different areas, for many private institutions, education departments, and international schools found around the world. The TESL certificate applies to regions where English is the primary language. For example, teaching English to someone who lives in the United States would necessitate a TESL approach. It is often the case that a TESL teacher will have English as their first language, as they are usually found in those types of countries, but this is not always a necessary requirement. A TESL certificate applies in any English-speaking country, as there are many international students who attend public and private schools within these countries. This certification is slightly different because it’s often what schools that offer adult English curriculums are looking for. It is also different from the above certifications in that, depending on the region in which you live, this certification can apply as TEFL/TESL, though it should be noted that flexibility is highly case-sensitive. TESOL also constitutes the CELTA certification, which is the TESOL certification issued through CambridgeESOL. In summary, TESL and TESOL are basically the same thing, teaching English as a second language. This means an instructor will be teaching English to people who do not speak English, but live in a country where English is a native or national language. TESOL means that you may also be teaching it to people who speak two languages, neither of which are English, and live in a country where English is a national language. TEFL is teaching english as a foreign language, to people who live in a country where English is not a national language. If you’re looking for additional information about TESOL, I highly recommend following Shelly Terrell (http://www.shellyterrell.com) on Twitter @ShellTerrell. While I don’t know Ms. Terrell personally, she’s a social media delight and posts frequently on TESOL and teaching abroad.